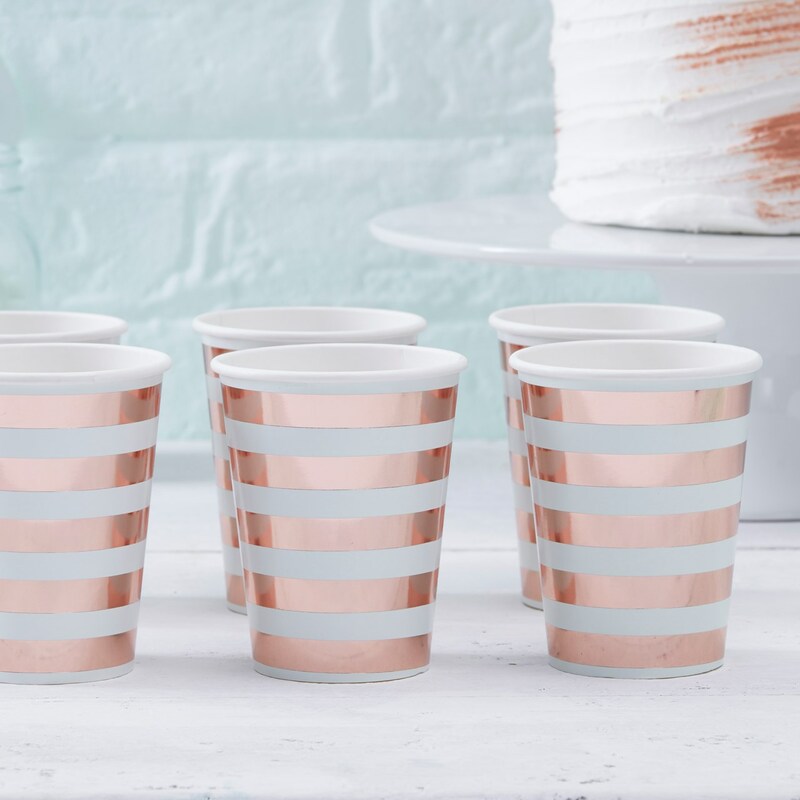 Gorgeous mint green and rose gold foiled Paper Cups, the perfect tableware to create a trendy celebration set-up. Use these chic cups with other rose gold foiled products within the Hello World range to ensure you have a classy Baby Shower to be remembered by all. Each pack includes 8 paper cups. Each cup holds 9oz. and measures: 70mm (W) x 90mm (H).